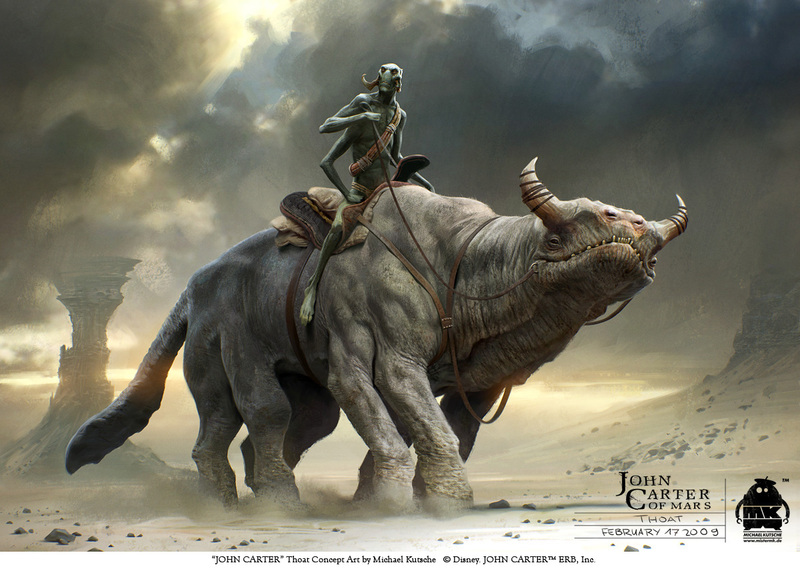 Thoat concept art for John Carter, directed by Andrew Stanton. Loved to see these creatures come to life on the big screen! great texture, as usual looks incredible realistic! Fantastic! All the designers did a great job bringing Barsoom to life! Is there any chance you could post work that didnt make it into the movie? I'd love to see earlier/alternate versions of Barsoon and it'd inhabitants! JJ: Will post some alternate design later on! Ian McQue: Thanks Ian, this really means a lot coming from you. Big fan of your art!